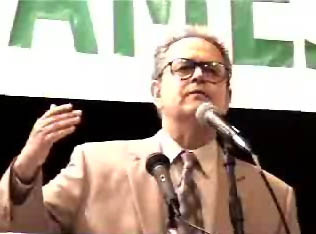 He also ran as Ralph Nader’s vice presidential running mate in the 2004 presidential election and for president in 1976 as the Socialist Workers Party candidate. Camejo said that he never expected to win, but wanted to help elevate the Green Party to the mainstream political stage. Camejo fought for universal health care, election reform, farmworker rights, living wage laws and against the death penalty and abortion restrictions. He started an investment firm in Oakland and created the first environmentally screened fund – the Eco-Logical Trust – for a major Wall Street firm. He also founded the Council for Responsible Public Investments and wrote the book, “The SRI Advantage: Why Socially Responsible Investing Has Outperformed Financially.” But, perhaps most impressively, he graduated from high school with a perfect Math score on his SAT.